Summary: The description, specs, pricing and photo of the new Colt King Cobra revolver. Colt‘s new King Cobra is a six-shot, double-action/single-action revolver built on a stainless steel frame with a stainless steel cylinder, and chambered in .357 Magnum (and .38 Special and .38 Special +P, of course). 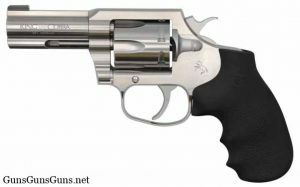 This revolver marks the first time the King Cobra brand has seen production in roughly 20 years (the original was produced from 1986–1998). The new King Cobra from the left. Each King Cobra comes with a manual and a cable lock. The King Cobra from the right. 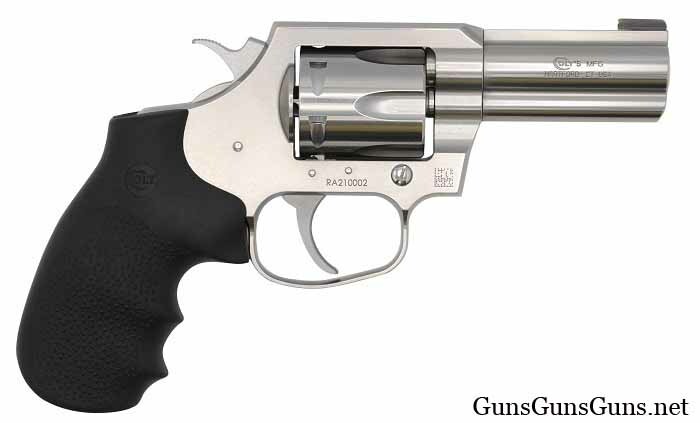 This entry was posted in .357 Magnum, .38 Special, .38 Special +P, $751-$1,000, Colt, Compact, Revolver on January 24, 2019 by Staff.